The African crested rat was thought to be poisonous for many years. Locals call it the furry-furry and it is about a foot long, but it has been known for years that it is deadly poisonous for creatures to eat it. Well, it took them 30 years of observation for them to realize that the rat is not a poisonous rat. Pastor Doug: Hello listening friends welcome to a fresh installment of “Bible Answers Live” if you have any Bible related question we’d be delighted for you to call in with your Bible question. It is a toll free phone call and lines are open this is an international and interactive Bible study. And that phone number if you’d like to get your question on tonight’s broadcast one more time for your phone call 800-GOD-SAYS. That stands for 463-7297 and my name is Doug Batchelor. Pastor Ross: And my name is Jean Ross good evening, listening friends and Pastor Doug. Before we get to the program, let’s start with prayer. Dear Father once again we thank You that we have this opportunity to study Your word and we ask your blessing upon our time together and guide our minds us as we search Scripture for we ask this in Jesus’ name. Amen. Pastor Ross: Pastor Doug you opened the program buy talking about mysterious rat in Africa that is deadly poisonous to anyone else who would try to touch it or eat it. Pastor Doug: Yeah there is this rat in Africa and I didn’t know if it is from the part where you hail, but it’s called an African crested rat and I think the locals call it the furry-furry and it is about a foot long, but it has been known for years that it is deadly poisonous for creatures to eat it. Well, it took them 30 years of observation for them to realize that the rat is not a poisonous rat. It’s probably just as edible as all of the other rats except for its behavior. It eats this plant, a very toxic poisonous plant that is used by the natives and has been for generations to poison their arrows and make them deadly. It chews up the leaves of the plant and then it shampoos itself with this saliva and there are hairs on its back unlike any other hair in the animal kingdom that have a structure something like a sponge across the crest of this rat that they then soak up these toxins, so if any other animal a dog or a bird or a rat or something, even a rat it’ll either kill or make very sick the predator. The amazing thing is evolution has no explanation for why this rat would develop this behavior and why be aware that certain plants are toxic as opposed to other plants and just to send a message to those animals, not to bother this rat. There’s totally no explanation in evolution for this kind of behavior that has been observed and this research was done by Jonathan Kingdom from Oxford University in England. And it’s just an extraordinary fact. The furry-furry rat or the African crested rat. Where would it develop this behavior? Unless there is a Creator that teaches these animals these things it’s like some crows will take a bath in an ants nest so the ants spray formic acid on them to kill the mites. Now how would they know that? And maybe our friends we have listening right now have wondered about all of the mysteries in creation. How could it happen by accident that you have this one lone planet that we know of in the cosmos that we’re aware of just burgeoning with millions of varieties of life? And for all of it to happen with all of this design and structure and organization by accident, that’s impossible. I mean anything in our reasoning capacity tells us, no matter how many million of years you give you cannot get that kind of an organization and design out of chaos and total coincidence. We have a book if you would like to know more about what the Bible says an even scientific evidence for creation, we’ll send you for free. Pastor Ross: That number to call is our resource line that’s 800-835-6747 and you can ask for the book, “Amazing Wonders of Creation” and that number again is 800-835-6747 that is the resource line and you ask for the book, “Amazing Wonders of Creation”. If you have a Bible question you can call right here to the studio. The number is 800-473-7297. That’s 800-GOD-SAYS ~ 463-7297. You can also watch Pastor Doug and me via the web at “Live dot Amazing Facts dot org”. Again that website is “Live dot Amazing Facts dot org”. Pastor Doug, I believe this is our second program that is being streamed live. So if you would like to join in with not only listening, but viewing go to “Live dot Amazing Facts dot org”. Pastor Doug: …as opposed to a more visual medium. But, with that are we ready for--we do have lines open—I don’t know what’s happening tonight. But, usually our lines are just saturated at this point in our program, but we still have about half of our lines open. One more time, if you’ve got a Bible question that number is 800-GOD-SAYS, 463-7297. Maybe they just logged onto the internet and saw what we looked like and just changed channels. Pastor Ross: Or decided not to call. Pastor Ross: We’ve got Rick listening from Auburn, California, Rick, welcome to the program. Pastor Ross: Yes you’re on the air. Rick: Okay, hey I saw in Hebrews Chapter 9:12 where it says that, “He entered in once to the Holy Sanctuary”—or the Holy place—Holy place that is what it is. And other version will say the most holy place and I understand that things took place in each different compartment. So I’m wondering does it make a—why are the different versions saying it differently? Pastor Doug: Well there is some confusion on this translation. Let me tell you the way I understand it. An answer that has satisfied me, I think that when we consider that Jesus after He ascended to heaven,--well I should first say that when He arose from the dead—Mary went to worship Him. And He said, “Do not cling to me for I am not yet ascended to my Father.” And then after He ascended to the Father, He went right into the Father’s presence in all of the Holy places to have His life and sacrifice declared victorious and successful. Now, in the earthly sanctuary there are really only two times that anyone really went into the Holy of Holies. Normally they went in once a year on the Day of Atonement, but there was “one” exception. And that is when they built the sanctuary, Moses went into the sanctuary to inaugurate and he sprinkled all of the furniture with blood when they first activated the earthly sanctuary. Christ, when He activated the heavenly sanctuary, at His ascension, with His blood not the blood of goats or bull calves or lambs. He went into the Holy place and had His sacrifice declared successful, He was enthroned at that time. And then He went to continue His work in the Holy place as opposed to the Holy of Holies. When Paul wrote this, He had only been in there once. Christ since then has entered into the Holy of Holies as our high priest. When the church entered its last phase, Revelation it tells about the seven ages of the church we’re now living in the age of Laodicea, which means a judge of the people, and that is the cleansing of the sanctuary and Christ has entered His last work as our High Priest now. But, I believe He did ascend into the presence of the Father when He first went up and activated things. Now I don’t know if that made sense or if it sounded like a little bit of rambling, Rick, but is Rick still there? I heard a click and maybe we lost Rick? Pastor Doug: But, we do have a book on that. Pastor Ross: We lost Rick. We do. I was going to suggest that anyone wanting to know more about the judgment we have a study guide that speaks about the judgment and we’ll be happy to send that out to you. One talks about the sanctuary and the other also talks about the judgment. If you’d call our resource line that’s 800-835-6747 and you can ask for the study guide, “Case Closed”, it talks about the judgment in heaven and the high priestly ministry of Christ. The resource line is 800-835-6747. Our next caller is Paul and he is calling from Alaska, Paul, welcome to the program. Pastor Doug: Hi Paul and your question? Paul: I wonder if you can explain Luke Chapter 16:9. Pastor Doug: Luke16:9 it sounds familiar, we’ll do our best. And would you like to read it for people or would you like us to read it? Paul: Oh you can go ahead. Pastor Doug: Luke16:9 “And I say unto you, may to yourselves the mammon of unrighteousness that when you fail, they may receive you into everlasting habitations.” Yeah, that is a difficult verse. This is the parable Jesus makes following the parable of the unrighteous steward. And the essence of the parable is that there is this man who is found to be unfaithful with his master’s goods and he knows that he’s going to get the pink slip and so he goes to all of his mater’s debtors and he says look I’ll make a deal with you. I’ve got one last opportunity before they take away my keys to the bank. And he said we’ll cook the books and if you owe a hundred, we’ll reduce it down to fifty. And if you owe fifty we’ll reduce it down to thirty and I’m paraphrasing. And the guy says take your bill and sit down and write fifty. And he said if I owe a hundred measures of wheat, take your bill and write down eighty. Well, he made those people accomplices so that when he was fired, they had to be friends or he had the goods on them. Christ is commending that steward for what he did and made a provision for the future and he said basically for the children of the world are wiser than the children of light. Now Jesus is not condoning dishonesty, He’s condoning that a person will plan ahead for their future. And I think it is good even for believers to be aware of getting the investment of the people in the kingdom of God. And you know the Lord will—you know we had a situation once where somebody won money in Las Vegas and they were so thankful they sent it to the church. And the church opened this big discussion about whether to accept this money from someone who won it gambling. They weren’t members so what do you do? We thought and we prayed about it and we thought, well, praise the Lord, what are we going to do, give it back to the devil? So we made friends with the mammon of unrighteousness. I guess you could say. Pastor Ross: You put it to a good cause. Pastor Doug: Yeah. So I don’t know if that helps. That is a difficult verse. Do you have a take n that Pastor Ross? Pastor Ross: You know I think the point you made Pastor Doug is that Jesus is emphasizing the points of thinking ahead and not just living for the moment and especially when it comes to spiritual matters. WE need to think ahead so to speak we need to make friends with Christ. We need to get to know Him we need to become a recipient of His salvation by faith. If not, we’ll end up with a loss. Nobody needs to end up with a loss, but we want to get to know Jesus. Pastor Ross: Our next caller is Ellie and she is calling from Washington State Ellie, welcome to the program. Ellie: Hi. My question is about Guardian angels. A lot of the times the popular culture shows, female angels, baby angels, angels with wings, and my understanding is that that is not the way the Bible portrays angels. And I was also wondering about this idea of each of us having an angel assigned to us to protect us. Isn’t it enough that Christ protects us? What does the Bible say about that? Pastor Doug: Good question. If you read in Matthew 18:10 Jesus makes one statement that is pretty good evidence that He has at least assigned angels to watch over children. It says, “Take heed that you despise not one of these little ones for I say unto you that in heaven, their angels do always behold the face of my Father which is in heaven.” In other words these angels of God have access to the presence of God and they watch over these people. And so I do believe the God has angels, and obviously angels are recording—He could do it without angels, but the Lord uses His creatures—God could share the gospel better by Himself, without humans and then He could use the angels, but He uses people. Why—because it’s a blessing to cooperate with God. And in Hebrews I believe-- I forget the verse Pastor Ross it says that they are ministering spirits of the Lord. And one of the things that they do is they minister to humans in salvation. Now there is no evidence and I know we see angels either painted as babies or we see angels painted as women. I think an angel can take on a variety of forms, but there’s no Scripture in the Bible where it is showing an angel appearing as a woman, usually it identifies them as a man appeared to Gideon, a man appeared to Noah and one reason for that is that visually the differences between men and women is their ability to nurse children. And angels don’t procreate according to Jesus. So for angels to be identified with different genders like that it would not make a lot of sense. So just to be generic they are typically referred to as men, but they don’t really have plumbing like humans. Sorry. Pastor Ross: And probably the same argument is referenced to babies. Angels are not babies they are ministering spirits. Pastor Doug: They are created full grown. Pastor Ross: Yes the same as to do God’s will. And that verse was Hebrews Chapter 7:1 and then it is repeated in 14. Hebrews 7: verse 1 and verse 14. Pastor Doug: Thank you Ellie, appreciate that. Oh by the way, we have that book on angel messages. It says a little bit about angels that we could send Ellie. Pastor Ross: The number is 800-835-6747 and the book is entitled, “Angel Messages”. We’ve got Mike, Mike thanks for calling and Mike from Michigan. Mike: Hi nice to hear you. I just found out you’re on Satellite Sirius Radio. I just wanted to call in and have a question. Pastor Doug: We’re very thankful you called in. We’ve been on for only about 5 weeks now I think. And we’re always thankful to get new callers from our new stations. Your question? Mike: My question is I’ve been studying in Revelation the beast and just understanding the beats and the harlot that rides the beast. My understandings are and tell me where I’m wrong the harlot that rides the beast is the papacy and that the beast is the government of -–which is it? -- The government? Pastor Doug: You’re on the right track—first of all—we have a book before we go any farther because if you’re listening on Sirius you might be on the road and we don’t want to lose you. It’s a book called, “The Beast, the Dragon and the Woman” that is right up the alley of your question. So when I’m done with the question, don’t forget to call and request that and we’ll send you a free copy Mike. Secondly, most of the protestant reformers did identify the woman in Revelation 17 in the Papacy, Rome. Now you’ve got a story in the Old Testament, a woman typically represents a church. In the Old Testament you’ve got Jezebel, this queen, who was a priestess for Baal she was a daughter of the King of Sidon. And she manipulated Ahab the government to persecute the prophets of God and sort of establish a compromise to religion. You have that same scenario going on through the Bible many times. It happened to the Christian church during the dark ages when the Christianity sort of got married to paganism. And you ended up with a co-mingling of Christianity and the Roman religion. It was really a Greco-Roman religion. And that grew into what most people believe is the Papacy. And that’s that woman that it says once it was among seven hills, it was called the city of seven hills and again friends I am not trying to be disparaging of our Roman Catholic friends, I am just telling you this is what the protestant reformers all taught and wrote. So that is the traditional interpretation of those passages there. Pastor Ross: Now as was mentioned Pastor Doug the woman often in Bible symbols represents a church. But, a woman described in Revelation 12 and a woman described in Revelation 17 and a beast in Bible prophecy often refers to and especially referring to symbols, a political entity or a political organization or kingdom. So here in Revelation 17 you have a woman or a church that is controlling a political kingdom or a power. And that’s sort of this relationship that’s brought light. Pastor Doug: And that actually happened historically, the seat of Rome government was in Rome and about the time that Christianity was accepted a sort of the State religion, the Emperor Constantine moved his Empire, the capital to Constantinople and he basically gave an army the authority to the church in Rome to rule things in their district so it really became a religious political power from that point on and that was about 538 A.D. So please send for that book called, “The Beast, the Dragon, and the Woman”. Pastor Ross: The number is 800-835-6747 you can ask for the book, “The Beast the Dragon and the Woman” and we’ll be happy to send that out. We have George who id calling all the way from Australia, Melbourne. George welcome to the program. George: Thank you for answering the call and God bless you both. How are you? Pastor Doug: Doing well and I appreciate your call. Your question tonight? George: It is a very complex word and an amazing word in the sense that it creates an image from the beginning from the beginning to the end. My question comes in from the angle of the devil can create false images, will we be confronted with – and mind you I am not a believer in UFOs or aliens—but, could there be a stage in our near future where there appear to have UFO appearances or alien appearances to create a false image or belief? Pastor Doug: Well that’s a good question. Let’s talk about that for a second. There is no question that Satan is going to seek to impersonate Christ. And he will say that he has come down from heaven so technically that would be an out of this world visit. So he’s going to at least stage to some degree an out of this world visit, but I don’t know that he’s going to act like that he came down in a UFO or anything. But, he probably will come off with that I am extraterrestrial. Or out of this world or from heaven, and so—an I’m expect ting the devil to create all kinds of apparitions in the last days. You know probably whatever it is going to take to get people’s allegiance and if it means they’ve got to say oh yeah we’re higher beings from other worlds that have come with angelic information. I mean he’ll probably mix things up all kinds of ways. But, you know, I’m not expecting him to appear like Martians or E.T.s or anything. Pastor Ross: And so Satan is out to deceive so he’ll use anything or every means possible and if that does mean a UFO then I am sure he is going to try to do that. The Bible tells us that Satan can transform himself into an angel of light. So he is able to masquerade as different individuals. Who knows he might even use these type UFO phenomenon to try and deceive. Pastor Doug: There will be all kinds of apparitions and Jesus says false prophets will multiple and a false prophet is someone who says we’re speaking with Divine information and there will be Marian apparitions and all kinds of things. They’re be Biblical characters that will appear to have come from the dead like what happened to King Saul and say we’ve come from the other world. So I just think it’s going to be a multitude of image like deceptions George. Pastor Ross: Now I don’t believe we have a book specifically in dealing with UFOs, but do have a study guide that is dealing with the devil where did the Devil come from? And it’s called, “Did God Create the Devil?” and we’ll be happy to send it to anyone wanting to know more. The number is 800-835-6747 and you can ask for the study guide, “Did God Create the Devil?” A great number of passages of Scriptures are listed there to give you a clearer understanding of where Satan came from and what his goal is and why he wants to deceive. Our next caller is Gary and he is calling from Los Angeles, Gary welcome to the program. Gary: Howdy, well you know I go to lots of churches, but basically not the same one twice. I tell the Pastor every time after the sermon every Sunday I tell him the same thing. A different ones the same thing I tell them, “Look do you want me to show up every week? Do you want me to be the most loyal member of this congregation? You have a Q and A not just after the sermon, but in the sermon. You have some give and take with your flock there. And not one of them has ever taken me up on it, of course! Gary: Well not just that answering questions, challenges, too. Gary: Well why not!!! Why not give them their 90 seconds, you get—you as the Pastor get a couple of hours every week why not give them their 90 seconds? Pastor Doug: Well do you have a question tonight? Gary: Well yeah, it comes to the chronology. I’m profoundly troubled and I bet you are, too, so let’s be honest. I can still actually hear an honest guy. I’m profoundly troubled by the fact that there’s not one darn date in the entire Bible, not one the Old Testament not one in the New Testament, I mean not one! I realize there’s lots of chronologies that relate to various kingdoms and what have you writings of various monarchs here and there. And a lot of that is very historically accurate and a lot of it isn’t. But, my question for you is how troubled are you that there is not one date in the whole Bible? Pastor Doug: Well there are quite a few dates in the Bible. You start in Genesis and it ell s you the month and the day of the month that the flood began. In the Bible it talks about the year of Christ’s baptism. It tells you it was in the 15th year of the reign of Tiberius Caesar. They didn’t have the dating method we use today it did not exist for any kingdom back then so it wouldn’t be in the Bible until after the Bible was completed. You’re not going to find 2000 B.C. written anywhere in the Bible because they didn’t date things 2000 years before Christ in Bible times. So if you’re looking for that kind of date it’s not there, but it’ll tell you in what year of the reign of Nebuchadnezzar. And in what year of the reign of Josiah the Bible is full of dates. It tells you the month. Pastor Ross: You know if you start with creation and you start going along with the different ages of the Patriarchs it talks about this one living for so many years and then he begat his son and his son lived for so many years. You can kind of add up those time periods and give you a rough estimate of how old the earth is and when these various events took place. So we’re not completely in the dark. Now we might not have a specific point I time or a specific day or an hour, but we have a good idea as to when these things took place. Pastor Doug: Yeah we just line up—and there are even some astronomical things that are given. But, the whole Jewish year revolved around dates. They had feasts that fell on specific dates every year and they know what those dates are today. That’s how we get the Passover that Easter is picked. Based on it was a lunar calendar and you had the Feast of Trumpets and the Jews had a sacred calendar with months in it and there were dates every year. So I’m not sure what you mean Gary when you say there are no dates given in the Bible, but if you’re looking to say like March 9th, 1957 no those dates aren’t used because those are Roman names for months. Pastor Ross: But, what is interesting there are certain time prophecies in Scripture. For example the 1260 year period that you can read about in Revelation Chapter 12 there is a date when that time period begins, there is a date when that time period ends. I mean if you trace it in history you’re starting in 538 A.D. and it ended in 1798. So there are some specific time periods given that we can actually attach a date to. Pastor Doug: You know as just one follow up thought—we’re going to come up to break here in a minute Gary—is that days—or the names for the months that we use today all really were taken over by the Romans . The reason you’ve got a month named July, is based on Julius Caesar and the reason we’ve got a month named August is we’ve got an Emperor named Augustus Caesar and so all of that has been affected by the Romans. You are listening to “Bible Answers Live”. 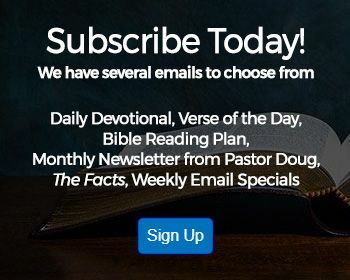 Pastor Ross: Well you know Pastor Doug before we come up on our break here in just a minute there is a website on facts just overall it’s a well known website by many of our listeners I’m sure it’s “Bible Universe dot com”. 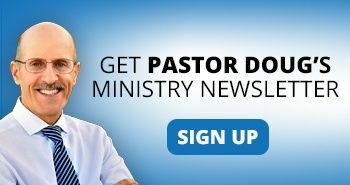 Pastor Doug: And friends this website—and as a matter of fact, you’re driving down the road and chances are you’re going to see a bumper sticker and you’ll see it says, “Bible Universe dot com” – not only and we also have registered “Bible University dot com” it will lead you here. It gives you an opportunity to enroll in a Bible School. You can do the lessons online. There’s a graduation certificate. We make all of this available for free. This website gets thousands of visits. There are devotionals, a Bible search, it’s got hymns and featured articles and of course it will also link into the mother ship of the Amazing Facts website with all of the video and information. Don’t go way we’ve got some announcements and we’ll be back in just a moment. Pastor Doug: We are back friends and we are listening to “Bible Answers Live”. We are a live international, interactive Bible Study and you can call in with your Bible questions. That number is 800-GOD-SAYS that’s 463-7297and you might want to be watching. We’re doing a test streaming the video of this program. You should have been watching a minute ago, you really missed something interesting, but we’re not going to tell you what it was. You’ve got to watch. If you want to know how to log on and watch, you go to “Live dot Amazing Facts dot org”, “Live dot Amazing Facts dot org” we can see that a number of people based o our information are watching right now. And let’s wave at you. Let’s go ahead Pastor Ross and wave at the—our friends watching. And for those listening, we haven’t forgotten you because we’re going to go back to our calls I think in a minutes. Pastor Ross: Alright. Our first caller for our second half of our program is going to be David and he’s calling from Michigan, David, welcome to the program. Pastor Ross: David you’re on the air. David: Yeah I have a quick question I wanted to get your educated opinion on the pre-tribulation rapture. Do you think that it’s Biblical? 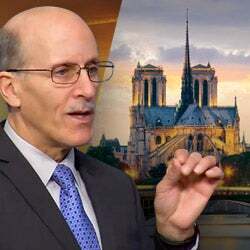 Pastor Doug: All of the—let me explain to our friends who are listening, I know you know what that means—but, when it comes to the rapture, of course the word rapture is not found in the Bible, but it is a Biblical concept. We are caught up to meet the Lord in the air when He returns. You find that in 1 Thessalonians Chapter 4:16, is that verse 16 Pastor Ross, I think? Pastor Doug: And so when the Lord returns it says the dead in Christ are caught up to meet Him in the air that’s the rapture. Question is does that happen after the tribulation, before the tribulation, or in the middle of the tribulation? David: Right that’s what mu question is about. Pastor Doug: And the term the Christians use call it pre-trib, post-trib and mid-trib, meaning in the middle of the tribulation. But, we’re of the belief that the rapture happens following the tribulation. 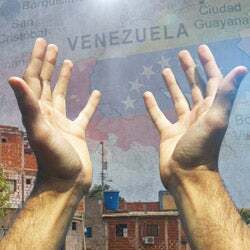 In other words, God’s people are here in the tribulation, and that doesn’t frighten me in the least because according to the Bible the saved are saved when the Great Tribulation begins. The Great Tribulation is the seven last plagues of Revelation. It’s synonymous with that, but by the time those seven last plagues begin to fall, Jesus has declared, “Let him that is just be just still and let him that is righteous be righteous still.” The lost are lost and the saved are saved and the reason that I mention that is because, what happens in the Great Tribulation is a parallel to what happened to God’s people when they were delivered from the slavery of Egypt. Moses came and brought them out. The big question is, “Were the children of Israel in Egypt during those 10 plagues?” The answer is yes. Did he protect them through the plagues? The answer is yes. So nowhere in the Bible are we being told that God is saving us from the tribulation. Paul says it is through tribulation that God saves us. So Christ said, “You’ll be hated of all nations for my name sake.” He that endures to the end and if we’re all raptured up before the tribulation what have we got to endure? David: How do you explain Revelation Chapter 7:9? Pastor Doug: How do explain Revelation 7:9? David: That doesn’t mean that every man can tell in every language and every nation, it could be before the tribulation starts. Pastor Ross: In Revelation 7 you have two groups. You have one group the 144,000 they have this seal of God in their foreheads. Then you have another group, same Chapter referred to as the great multitude from every nation, kindred tongue, and people that nobody can count. The great multitude would represent all of the redeemed throughout all ages, they’re in heaven, and there must be a resurrection in order to get them in heaven, so that happens at the second coming of Christ. You’ve got those who are sealed who are still alive right before the second coming of Jesus. So the rapture or the “taking out” comes at the coming of Christ and God preserves these people right up until that time even though the plagues are poured out upon the wicked. You know it is interesting to note, if you look at Egypt, there were 10 plagues that came upon Egypt. The first 3 of the 10 plagues fell upon the land of Goshen. But, the last 7 of those plagues only fell upon the Egyptians. It’s interesting in Revelation that you have the 7 last plagues that only fall on the wicked, not on the righteous. God preserves His people. David: In the book of revelation, everything falls in perfect chronological order. And that’s why I’m wondering on what verse I can count. Pastor Doug: Well let’s look at verse 14. David: Before the tribulation starts? Pastor Doug: Now look at verse 14 of Revelation 7. It says, “These”, speaking of the Great Multitude and He’s already talked about the 144,000.So if you believe everything goes chronologically, it says, “These are they that came out Great Tribulation”, it doesn’t say saved from, no, it means they came out of the other side. Well, so you think that Revelation is all written in chronological order. David: I would tend to believe that. The way you follow right through to the end. Pastor Doug: Well you know I just—if you go to Revelation 12 for instance where it talks about the war between Michael and the dragon—that’s something that is in the past, so Revelation, takes segments of prophecy and shows it different ways. 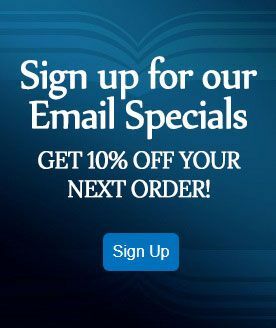 You know, could we send you a book on that please? David, we have a book that specifically deals with the Tribulation and where does it fall? And we’ll give you some Bible verses for that. I think it’s in that there’s an abundance of verses and it’s called, “Anything, but Secret” it also deals with the tribulation and when it happens. Pastor Ross: The number to call is 1-800-835-6747 and ask for the book, “Anything, but Secret” it’s talking about when the tribulation happens and the second coming of Christ. The number again is 1-800- 835-6747 and ask for the book “Anything, but Secret”. We’ve got Anthony who is listening from Buffalo, New York, Anthony, welcome to the program. Anthony: Yes, by the way,is this Pastor Batchelor? Pastor Batchelor: What’s left of him? Anthony: Well you know I listen to you on Amazing Facts every Sunday at 11:30 to 12 pm noon EST. Pastor Doug: Oh wow praise the Lord what channel do you watch? Pastor Doug: It might be ABC family. Pastor Doug: Oh the word network. Okay great. Anthony: Yes. I am familiar with you. Pastor Doug: Well I appreciate your calling in and your question tonight? Anthony: I have a question in terms of this new religion Chrislam. Christianity and Islam coming together now, do you think that’s part of prophecy in terms of the one world religious system in those end times during that tribulation period? Pastor Doug: Well it’s a good question, but I would make a distinction. I don’t really see Chrislam or a group that are talking about that we need to have more unity between Christianity and Islam as a newer distinct religion. What I think is it’s a new philosophy or attitude about how Muslims should view Christianity and Christianity should view Muslims. And I’m not endorsing it, I’m just saying they’re not saying—Muslims are not saying we’re going to convert to Christianity and Christians are not saying we’re going to convert to Islam what they’re saying is that we are relay worshipping the same God and so us get along better. Anthony: Do you think that the actual truth of what you just said that last part, do you think that’s actually true? Pastor Doug: No, or –do I think that it’s the same religion? Anthony: Well when you said that they’re both saying that we actually worship the same God. There are distinctions. Pastor Doug: That we worship the same God? Well, I’m going to answer that I’m not going to give you a direct yes or no answer and let me tell you why. Anthony: Would you repeat that? Anthony: I’d have to answer you, absolutely. Pastor Doug: Jesus even told the religious leaders of His day. They said well we’re Abraham’s seed. He said well you think you are, but you’re really children of the devil. So they thought they were worshipping Jehovah, but they were worshipping the devil. I think you’ve got people in both religions that worship the devil. Now there is some common linkage between Islam and Christianity in that the Muslims believed in circumcision. They believed in not eating unclean food. They believe that Abraham was a prophet. They believe you know what I am saying and they believe in the 10 Commandments so there was some overlap so you must admit that there’s some historic overlap that the lineage of Abraham forks and it ends up producing the children of Ishmael and it grew into the Islam religion. But, I don’t believe that Mohammed was a prophet. I know that doesn’t make me popular. Do you see what I’m saying? Pastor Doug: There’s a historic and genetic connection, but if you believe Mohammed is a prophet then you can’t believe that Jesus was. Anthony: Well that’s just what I was about to get at with you. And if you don’t mind all due respect, I’ll not put anybody’s religions down, but the big difference is people’s perceptions towards Jesus Christ. What you just said and that’s why I see the big distinction between the two. But, it’s what you just said though. Pastor Doug: There are too many conflicts between the teachings. Anthony: The main thing to me is what you said because I have somewhat moved very vague now from the Quran, no disrespect I don’t believe in disrespecting anyone’s religion, but here’s a big difference. Pastor Doug: Well I appreciate that and I’d agree that, yes there is a big difference between the books. I don’t see how you can believe that the Bible is the inspired word of God and I have read the Quran and I know Pastor Ross and study with some of his Islamic friends and there are just some things that you can’t believe because they totally contradict each other there in differed areas. I am sure you will find some things where there is agreement, but that is true of any religion. Pastor Ross: I think if you really boil it down, probably one of the biggest reference to salvation is in Christianity you have a sacrifice, Jesus took our place, He died for our sins, but in Islam, there is no sacrifice. There isn’t that type of forgiveness comes from grace because of the death of Christ. Pastor Doug: It’s more works oriented. And this is probably a good place to mention that I appreciate the prayers of our friends. In about a month it will be the 10 year anniversary of 9/11/2001 and I will be speaking in the largest Muslim country in the world which is Indonesia, I’ll be in Jakarta. And on September 11, so I do appreciate everyone keeping us in their prayers and I’ll be actually at a Christian Conference there. They do a lot of gatherings of Christian of Christian groups there, but they don’t allow proselytizing so you’ve got to be very delicate. Thank you for your question Anthony. Pastor Ross: Our next caller is Anita and she is from Detroit, Michigan, Anita, welcome to the program. Pastor Doug: Hi, your question tonight? Anita: Yes, yes sir, my question is I feel silly, but years ago I was at my daughter-in-laws and it—I smelled flowers like roses—the sweet roses—and I was wondering does that mean that an angel was present or the visit of an angel or was it Jesus or? Pastor Doug: Well I wouldn’t say that id that you smelled some kind of a sweet smell that there was some spiritual significance to it, but I don’t know about in the Bible of any divine appearance leaving a fragrance behind. You need to be careful, too, because I just read today that copperheads smell like freshly cut cucumbers. So copperhead snakes, so you don’t know what could leave a fragrance behind. But, sometimes fragrances really fool you. But, I can’t think of anything in the Bible that would support that and I want to make sue and give you a Bible answer. But, certainly God has the power to leave a fragrance behind if He wanted to. It is true that in the sanctuary when they would prayer they would put incense on an altar to leave a fragrance for God, but you’re asking a different thing. You’re asking did God or an angel leave a fragrance behind and it’s probably a sweet thought, but you know, but I don’t see any Biblical answer for that. Do you Pastor Ross? Pastor Ross: No I don’t think of any Biblical answer either where an angel would appear or there was a fragrance, but it mentions there would be a light or there would be, glory, or folks who lose physical strength in the presence of an angel, but never a fragrance however having said that like you said Pastor Doug God could do that. Angels are spiritual beings and we don’t quite understand their dimension or the laws that govern them and their behavior, but we just don’t know we have to wait it is something heavenly. Pastor Doug: Well who knows what cologne they wear? Okay. Who’s next? Pastor Ross: Alright we’ve got KC who is in Pittsburgh, California. Is that right? Pastor Doug: Yes there is a Pittsburgh, California. Pastor Ross: KC welcome to the program. KC: Hey thank you for the welcome. Great answer there, too, we don’t know what type of cologne the angels wear. That was great. KC: Now that’s the question is here comes from Paul’s letter to the Corinthians-- Paul’s first letter to the Corinthians, sorry. Chapter 11:4-5 where it talks about men praying or prophesying having his head covered and the women having their head uncovered. I just wanted some clarity o that because Paul wrote about a lot of customs and there’s a big difference between a custom and no custom and actual what we should be following as followers of Christ, but that one was kind of unclear to me. And I wanted to hear—your input on that. Pastor Doug: I think Paul was talking about respect and reverence in this passage and that there should also be respect between men and women in the families in public worship. The customs are very different here because he talks about a man praying with his head uncovered, you know how different it is now if you go to the Middle East, I remember when I went to the Wailing Wall, that before you walk through the barricade on your way up to the Wailing Wall which was the ancient foundation for Solomon’s temple, that they gave you a little cardboard yamaka and they asked you to wear that out of respect for your head. Well, in our culture and you have a hat on and you go into church you take your hat off. Or when you pray you take your hat off and that’s assign of respect. So I think the respect of different body language that shows respect in different countries may vary a little bit. Many of the countries I go into, when you enter their church they have big ole cubby holes for you to put your shoes. And people worship barefoot. My feet are always cold so I am glad we don’t have that custom here, but we’re used to wearing our shoes in church. As a matter of fact, we have a restaurant hat says, no shirt, no shoes, no service. So you’re expected to wear your shoes. KC: So would that be a type of custom in Corinthians 11? Because I know it’s a custom when he’s speaking of women and being in the church. Pastor Doug: Yeah he says a lot of it in verse 16, he calls it a custom. KC: Okay then it’s called a custom? Pastor Ross: Matter of fact it says in verse 16, if there’s going to be contention over the issue, don’t make a big deal about it. Let me read verse 16 it says, “But, if any man is contentious we have no such custom neither the church of God.” So if it is going to become a big deal, Paul says it is not worth fighting over. KC: And what he was speaking of in verse 16 was the covering and uncovering of hair from verse 4 and 5? Pastor Doug: Well, you know the way I would deal with that? KC is that is—first of all I think we need to be very careful and not build a doctrine out of one or two verses. KC: No, that is not a doctrine. Pastor Doug: And you need two or three witnesses in Scripture to build a doctrine. It says here a little there a little. Secondly you don’t really see that it is mentioned again later. There is no command given in the Old Testament. I mean there are some very specific commands in the Old Testament about details. And it talks even a lot about hair. But, you don’t ever hear ever compared to any kind of moral value whether you have long hair short hair or it’s covered. But, the second thing I was going to say was if someone says I’m convicted buy this if I met a woman and she said I’m convicted my hair should be long, and I should cover it when I pray in public, I will just rise up and bless her. But, it doesn’t hurt but, if that’s her conviction, why would you want to convince someone otherwise? I mean it’s like the Holy Spirit. Pastor Doug: Well let me give you—and you know I am Jewish. I’m a Christian, but my mother’s whole side of the family, she was Jewish. The Jewish customs have evolved, for instance, in Moses day he said you’re to have the law in your forehead in your hand in your heart. Well, at the time of Christ they had actually evolved that where they were strapping little segments of the law to their foreheads called phylacteries and then putting it on their wrist. But, Moses never intended or commanded people to carry around little portions of the Scripture strapped to their forehead. He meant have it in your mind, in your actions, your hand and in your heart. He didn’t mean it anymore than he meant for you to cut your heart open and put it in there, those were metaphors and so there have been a lot of customs built up. In the Bible it says do not cut the corners of your beard for the dead. Well Orthodox Jews won’t shave their sideburns. And they take that verse where it says do not mar the edges of your hair or cut the corners of your beard and they leave out the part that says for the dead and a whole new custom has grown out of that. So there has been a little bit of evolution in the Jewish customs that really aren’t in the Bible. And Christ dealt with that in His day he said you’ve got a fine way of observing the traditions of man, and neglecting the commands of God. So I would not feel if I were you, it might create more of a spectacle than a blessing if you’re in a Christian church and you felt as a man that you need to cover your head with a prayer shawl. So you don’t find that in the Bible. Appreciate your question KC and we’ll probably have to see if we can get a couple of more callers in. Pastor Ross: We’ve got Craig who is listening on the internet from Nevada, Craig welcome to the program. Craig: Good evening gentlemen. Pastor Doug and Pastor Ross God bless the both of you. Pastor Ross: Thank you and your question tonight? Craig: You know we have been studying with you for many years. And I couldn’t find the Scripture right now, but I wonder if you know, what Scripture I am talking about where it says all flesh will gather every new moon will gather all flesh will gather for the Sabbath, the new moon Sabbath? Pastor Ross: Yes. That’s in Isaiah Chapter 65 is it Pastor Ross? Craig: So what is the significance of the new moon? Pastor Ross: Well the Jewish time was divided by the month and by the week. They went by a lunar calendar. So when it says from one new moon unto another and from one Sabbath to another—now I hope I don’t confuse anybody—but, originally before sin and probably before the flood there was a perfect calendar—I mean everything on the earth has been altered and the earth has been tipped off its axis and probably even the cycling and the moon and the month shave changed. But, it used to be that is was exactly four weeks was the complete cycle of the moon and that would always land on a Sabbath and that would be a high Sabbath. Craig: Well you know I am just looking into this because we’re studying and we’re wondering why on the new moon why all flesh would gather. Pastor Doug: Well because it would also be a Sabbath. When the new earth is created every new moon is also going to land on the fourth Sabbath or a new month. So the Lord is saying that from one week to another on the Sabbath and from one month to another because the Jews understood that, every new moon the gathered for a special Sabbath. All flesh will come and worship before me. But, I think they are going to line up in heaven. Craig: Astronomical for the weekly cycle? Pastor Doug: Yes. Yes you see the month will be-- the lunar cycle right now is 27 something days –you would have to have 28 days for it all to perfectly align up for every fourth Sabbath it is a new moon. I think it will in the kingdom. I think everything has sort of been tweaked by sin and flood and all that’s happened to the world and I think when God makes the new heaven and the new earth everything will be synchronized again and there won’t be arctic regions that will be covered with a mile of ice. I don’t think god ever meant for people to live up there where the sun doesn’t set or doesn’t rise. I hope that helps a little bit and thanks for listening Craig we appreciate that. If you don’t mind we’re still going to try to squeeze in one or two more. Pastor Ross: We’ve got Clifford who is listening from Brooklyn, New York. Clifford, welcome to the program. Pastor Ross: Okay great well you’re on the air. Clifford: Okay I’m looking at Mathew 22:11-13. It’s about the wedding feast and I’m particularly concerned about verse 13 where the king came in and saw this man and they—you know they came without a proper dress. And he sat down and he cussed him out. Why did he do that? That’s a rough action to send someone to the highways and byways and pick on them for how they were dressed. Pastor Doug: Well good question and let me tell you when I read that I also thought that’s pretty brutal to invite somebody to a wedding and then kick them out if they don’t show up with the right wedding clothes. You know sometimes a wedding party will have matching clothing. In the Hebrew wedding all the people who were invited were all given garments, especially if poor people didn’t have clothing for a wedding of a king. The king provided the clothing so that all of those that were invited were given clean garments for the wedding. This man showed up in his filthy garments from the street and he said oh this is good enough. And the king said there’s no excuse for that, you were invited you accepted the invitation, I provided clothing and you show up and you don’t want my robe. That robe was a symbol of Christ’s righteousness that He provided for everybody invited to the wedding feast. So for someone to say I want to go to heaven, but I don’t want Christ’s righteousness. Jesus said you can’t get in without my garment. You can’t get in without my robe of righteousness. Pastor Ross: He was given a robe at the door, but he thought his clothes were good enough the way he was. It’s a symbol of man trying to save himself. Our righteousness is as filthy rags and we need the righteousness of Jesus. Pastor Doug: I’ll bet you if you went to a White house function where they had a black tie dinner and you showed up in your beach clothes, you’d be shown to the door. And so I think most people can relate to that. Oh! Friends I wish we could have had a few more calls. Al the calls came like a tsunami towards the last half of the program. Remember the program doesn’t need to end just go to “Amazing Facts dot org” and keep us in your prayers. Appreciate your financial support and please stay on this station. God bless you.